The Hero Indian Open was first staged back in 1964 and won by Australian legend, Peter Thompson. The tournament was the brainchild of Thompson and he went on to win it twice more, in 1966 and 1976. It became an Asian Tour event in 1970 and it was co-sanctioned with the European Tour for the first time in 2015. Having been staged in one of the last three months of the year previously, there was no event in 2014, presumably because of the new link up with the European Tour, and the necessary change in position on the Asian Tour schedule. With the European Tour on stop for a month for the majority of its members, the event has attracted a reasonable field this year. With the cancellation of next week's Philippines Golf Championship, the only other European Tour events between now and the Open de Espana in a month's time are the WGC-Match Play and the US Masters and there won't be many in the line-up featuring in either of those big events. After two wonderful years at the intricate and challenging Delhi Golf Course, the tournament moved to the Gary Player Course and the DLF Golf and Country Club last year and as a result it's gone from being a terrific event to bet on to a really tricky one. The Gary Player Course, DLF Golf and Country Club, Gurgaon, India. The Gary Player Course only opened in 2015 and we were very much in the dark 12 months ago. With an advertised length of in excess of 7,600 yards it looked far too long for many pros, including the defending champ, SSP Chawrasia, who is notoriously short off the tee, but they messed about with the yardage by using different tees, ignoring the Championship ones, and by round four it played to just a smidgen over 7000 yards. Chawrasia cruised to a successful defence by seven strokes, leaving many of us dumbfounded. How could someone averaging only 280 off the tee win on a course measuring more than 7,600 yards? The answer was simple really. Because the course didn't measure anywhere close to that. As you can probably gauge by my tone, I'm still gently seething about it. The yardage, if it can be trusted at all, is set at 7,379 for this year's renewal and it's a traditional par 72 layout, with the standard 12 par fours, four par three's and four par fives. The course is entirely Bermuda. The fairways are narrow with some undulation and the greens are large, undulating and forecasted to run at around 11-12 on the Stimpmeter. There were an incredible number of really big scores on individual holes last year and danger seems to lurk almost everywhere. Water is in play on seven holes in total - one, five, six, eight, nine, 16 and 18. It's a really tough test and only seven players bettered par last year. What Will it Take to Win the Hero Indian Open? Having expected length to be the key 12 months ago, it transpired to be an irrelevance with accuracy being very much more important. Here are the key stats for the seven players that managed to beat par. The first four home were all fairly straight off the tee and the first three all putted extremely well. We've got three off the top-four ranked for Greens In Regulation inside that top-five but SSP put distance between himself and the remainder thanks to some terrific scrambling and putting. This is a horrible course. Eddie Pepperell, who was tied for the lead at halfway last year, has described it as designed by Satan, and we only have a decent line-up because of the complete lack of opportunities over the next month on the European Tour. I don't like the event one iota, caution is advised, and my stakes are tiny, but I have looked at the older and more experienced pros. Patience and a good temperament are going to be the keys to success this week. Anyone getting remotely frustrated with the course could soon find themselves out of contention and an ability to ride the bad breaks and remain on an even keel will be crucial. The home contingent has dominated this event and an Indian has won 12 of the last 26 renewals. Only three holes averaged below par last year - the ninth, 11 and 15th. The par five 15th was the easiest hole but it still averaged 4.93 and the other par fives, holes four, eight and 18 all averaged above five so don't go assuming they're birdie opportunities because they really aren't. With just the one renewal at the venue to consider, to a certain extent, I'm guesswork as to whether anyone can win from off the pace here but I suspect they can. Chawrasia led from halfway 12 months ago but a couple of players made up a lot of ground between rounds and it's often the case that's it's easier to make up places on a tough course than it is when everyone is knocking in birdies left, right and centre. Chawrasia coasted to victory last year with his inexperienced closest challengers wilting on Sunday but I'd be wary of siding with someone leading here if they were looking for their first win or if they were young and inexperienced. It may not have happened last year, but danger lurks all over this beast of a course and I suspect we could see all sorts of drama if the right players are leading through 54 holes. Not only do we have to guess how the course will be set up this year and how long it will play, we also have to try to predict the well-being of the favourite, Shubhankar Sharma, after he spent the majority of last week in-contention at the prestigious WGC-Mexico Championship. Local lad Sharma, who I backed at 50/1 last year because he was affiliated to the track, has had to fly back via New York from Mexico and he wasn't expected to land back in his homeland until late on Tuesday. The combination of receiving an invite to Augusta, being in-the-mix on the world stage for the first time and having to lift himself to please his home crowd less than 48 hours after landing back in India, just days after the disappointment of falling from first to ninth on Sunday, make this a very big ask and the fact that he could only finish 40th last year can't be construed as a plus either. I like him a lot and I hope he continues to thrive but he's just too short given the unique set of circumstances faced this week. 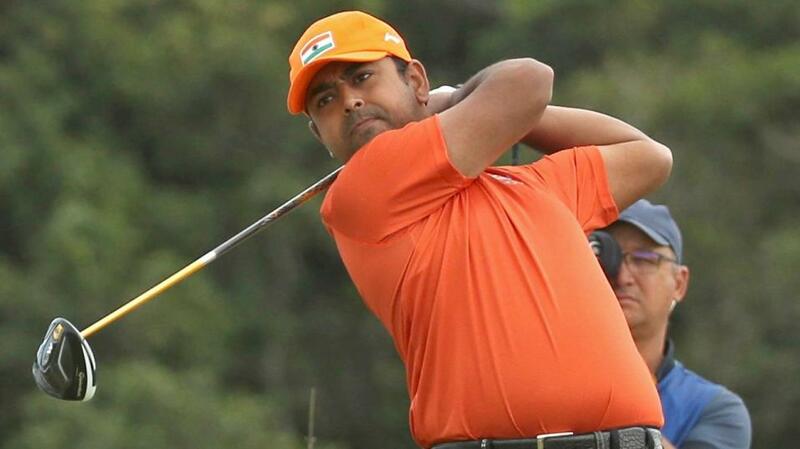 Anirban Lahiri is my idea of the man most likely to win this week. He started slowly 12 months ago with rounds of 76 and 73 as he, like most of us, got caught out by the brand-new venue but he plugged on brilliantly to finish fifth. Having finished inside the top-ten in 11 of his last 15 visits, his record in his homeland is exceptional and his record in this event is especially good. Prior to last year's fifth, he finished runner-up to Chawrasia in 2016, 12 months after beating him in a playoff at a venue that doesn't really play to his strengths. Sharma suddenly shining and Chawrasia bidding for the hat-trick can only act as extra inspiration for the classy PGA Tour star and he's definitely the one they all have to beat. Emiliano Grillo looks short enough given how infrequently he wins and the same could be said about Joost Luiten, although he did win in Oman in his penultimate start. Luiten has the tidy long game required but like Sharma, he also has the journey from Mexico to contend with having finished 37th and he's twice been to India before without making it to the weekend. Those that managed to get early [44.0] about the defending champ, SSP Chawrasia, have got a bit of value but he looks very short to me at less than half that price now. Having backed three pre-tournament winners in-a-row on the PGA Tour in January (Patton Kizzire [85.0], Jon Rahm [11.0] and Jason Day [26.0]) and having backed the last two winners on the European Tour (Eddie Pepperell [80.0] and George Coetzee [14.0]) I'd love to bag the winner this week to repeat the hat-trick but I can't say I'm confident of achieving the feat! I don't like this event and I really don't feel confident of the course playing the same as it did (or even close to) last year. There were so many complaints 12 months ago that I can see the organisers doing things we don't expect. I can't trust the yardages and I'm being extremely cautious with my stakes but in attempt to rack up three in-a-row I'm playing five from the get-go for small stakes. I can't get away from Anirban Lahiri and if he starts well, the [15.5] taken could look huge. I'm playing both Dave Tindall and I's each-way picks, Andrew Johnston and Hideto Tanihara, on the Exchange and I've thrown a few pounds on two players that played well last time out in Qatar - Oliver Fisher and Gregory Havret. It's rare to see players back-up decent performances on this Tour but those two have both been able to do so occasionally and Havret has form in India, and at the course. He was third at the Avantha Masters in 2011, sixth in this event two years ago, and he sat eight with a round to go here before a disappointing 79 saw him tumble to a tie for 39th.